The Insul-eze is a sturdy one-piece syringe magnifier that holds the syringe and insulin bottle in place while magnifying 2x for easy viewing of the syringe markings. The design of the Insul-eze creates an ease of use. 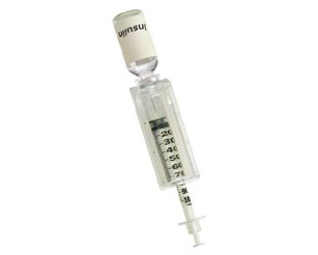 The insulin bottle securely snaps into place then the syringe drops in the channel, effortlessly aligning the needle for insertion into the bottle. The magnifier, syringe and bottle are secure for easy loading and viewing. The is a sturdy one-piece syringe magnifier that holds the syringe and insulin bottle in place while magnifying 2x for easy viewing of the syringe markings. The design of the creates an ease of use. 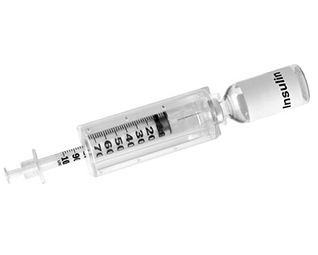 The insulin bottle securely snaps into place then the syringe drops in the channel, effortlessly aligning the needle for insertion into the bottle. The magnifier, syringe and bottle are secure for easy loading and viewing.